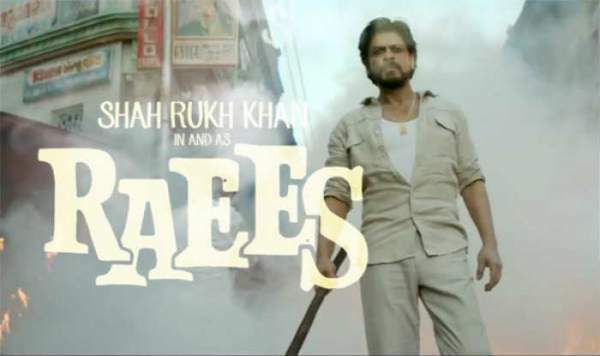 Raees Movie Review Raes Rating: SRK Raees releases today. Nothing could be better than a year starting with Shahrukh Khan’s movie for SRK fans. Needless to say, it will be highly naive to comment on acting skills of Nawazuddin Siddiqui and Shahrukh Khan. But there is a thing which can’t stop making rounds in the head after watching Raees (Raes) for the first time was clutch in Mahira Khan’s acting. With a great storyline, The film has many scenes which look artificial and obviously have no connection with the reality. Shahrukh can see as a simple yet powerful businessman of Gujarat. His overwhelming love for liquor met him Nawazuddin Siddiqui who is not going to spare Raees at any cost. The lead character sketch could understand as a businessman who loves to live without luxury. He loves to dance and to drive bikes. Residing in a Muslim majority area, no one ever dared to speak to him. Those who dared stood as a small part of the history. Raes has guts to beat the crap out of as many enemies barehanded. He is the type of guys who loves to fight with a single gunshot. Expressionless and emotionless, he found his weak end with the arrival of Aasiya (Mahira Khan) in his life. The anxious case of life in a brothel and how the man of the town used everyone available to get the job done is the most interesting part. For us, Nawazuddin Siddiqui character (Police officer Jaideep Ambalal Majmudar) sketch was the center of attraction. A simple man, with not so great physic, getting into a fight with the man of the town. As always, Nawaz performed all the actions like real. The anger of common man against the web of corruption and adulteration can clearly see in the eyes of Jaideep Ambalal Majmudar. Check: Raees 1st Day Collection. Mahira can be seen smiling in a major part of the film. She perfectly performed the role in melodramatic situations. Dealing with the odd situations in life, she always knows the correct way to fight weird situations. It was the first time in more than five years Rahul Dholakia got a chance to deal with superstars of Bollywood. There are many scenes in which direction not needed because actors performed very well. Rahul missed an excellent chance of controlling on-screen emotions of Mahira Khan. There are many scenes shot in the closed rooms, focussed on the actress, leaving an unfinished segment. The direction is below average. Read: Movie Review of Kaabil. The first half of the film is engaging and entertaining. It opens the story of a gangster and his character sketch. Nawazuddin entry could raise the goosebumps of his fans. Mahira didn’t have any interesting role but stands as an important part of the entire film. Shahrukh Khan is better known as Badshah of Bollywood because of his creativeness towards minor details; there is a big miss in Raees film. Check: Kaabil vs Raees 1st Day Box Office Collection. The film used “Gujarat” banner to show that it belonged to the state but didn’t have even the basic Gujarati accent. Makar Sankranti and Garba were there as identification of celebration in the State. After the first half, one would be forced to rethink if the movie directed in haste. It doesn’t appear to be a perfect film produced with patience and calmness. Sunny’s item number stays positive, as it can generate significant numbers for the movie. There is something which is appreciable by SRK. The lead actor gave up the heroic role for Nawazuddin Siddiqui and chose to be on the evil side. 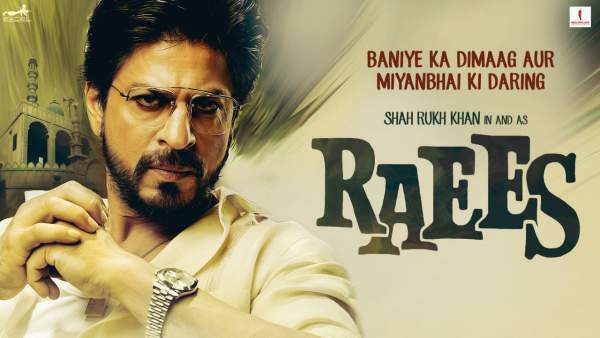 The role of Raees is a collection of feelings and emotions, hate, and love, dare, and fear. For the plot of Raees movie, giving full stars would be the best job. It’s near impossible to guess the most important part which are last 15 minutes of the movie. All the imperfections during the entire time play could average with the ending of the film. No doubt, Shahrukh Khan performed best in the movie. The film is definitely going for all the fans of SRK. We would give Raees 3/5 Stars, in which .5 stars are for last 15 minutes ending. Needless to say, Raees is coming up in competition Hrithik Roshan’s Kaabil. Hrithik holds up the greater chance with right direction and costars. It also has many positive factors which include fan following of Shahrukh Khan, engaging storyline, and unbeatable plot. It holds a better chance on Republic day being a film concerned with a brave police officer who busted one of the biggest criminal minds in the state. Do share your Raees movie review just as you go and watch it. Stay tuned. After reading this anyone can easily say its paid review. SRK has paid this **** guy for **** review. The movie isn’t as impressive as was the trailer. It should have stand upto its expectations. Raees not good. Kaabil much better. WONDER FULL MOVIE I ENJOYED TOO MUCH srk Acting is incredible.